Uhuru Kenyatta was elected corruptly after IEBC officials were paid handsomely under the table. The Supreme Court overturned the presidential results following an incredible hearing which determined irregularities and illegalities involving fraudulent transactions was a factor in Nairobi. #1. You do not urge NASA to go to court after IEBC declaration if aggrieved but once they do justice is pronounced in which election is nullified, you go ballistic and call Maraga all sorts of unprintable adjectives. Any arguments that you make after the ruling could be pointing to either inability of your team to adequately canvass for those arguments in court, or that such arguments were examined and found to hold no water. #2. You do not tell Kenyans that if Raila beats Uhuru that you will impeach him. You send wrong signals as unsteady, unprincipled and self-serving regime bent on perpetuating its hegemony at whatever cost without regard to what is good for Kenyans. #3. You do not tear down Raila that he is merely a candidate and that you are the President until the next one is elected and expect Maraga to leave you alone as he also exerts his authority that he is President of the Judiciary and only sees you as the person he ordered to return the certificate to IEBC. #4. You do not go around the country gloating over the number of seats that got from across the country when those numbers will soon be a matter of court appeals and their disdain could turn into a protest vote in which you are locked out of regions to the last vote. #5. You do not gather people from various parts of the country to the house on the hill and think that taking selfies with them and giving them transport back home would appease their ancestors and turn the tide. Some of these leaders may have lost relevance and impact on their communities and can only serve as inhibitors in the ammonia production plant of politics. KenyaNairobiState HouseUhuru KenyattaUhuru Muigai Kenyatta. 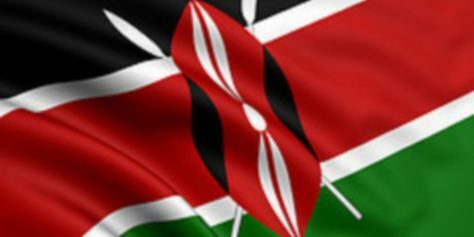 Excessive force against Kenyan voters is Unnecessary. IG JOSEPH Boinnet says they will have to use slightly more force than that used by violence perpetrators if chaos breaks out during polls. However, there will be no violence as long as polls are free and fair. This idea of the security Council meeting in state house and planning how to rig the Kenyan election and then threatening the public is unacceptable. Early this year, the government received 25 new state-of-the-art police vehicles, including bullet-proof cars, which security officials said will be deployed to terror-zones to fight crime. The Kenya Poa has since learnt that the vehicles were offloaded from a vessel at the Port of Mombasa on December 29th and subsequently transported to Nairobi under tight security. A senior police officer told us that the police cars will be deployed to patrol conflict-prone tribal borders and areas with terrorist activity. The senior source also reported that more police cars were expected to arrive in the next few months before President Uhuru Kenyatta publicly commissioned for their use at a national event at Uhuru park as part of preparations for the general elections in August. The new acquisitions added to a fleet of 30 armored police fighting wagons that the President commissioned last year February (2016). That delivery was for use by the General Service Unit (GSU), with most going to Lamu, Garissa and Mandera counties. The former cabinet secretary for Interior Joseph Nkaissery said in January this year before he was killed that the police will deploy heavily in Mombasa, Kisumu and other hotspots, a statement that NASA supporters read as foretelling targeted police deployment in opposition zones. We have never established from which country the equipment were sourced. President Uhuru addressing children while a major crisis unfolds without being distracted by it, shows lack of leadership on his part. News just in is that President Uhuru will address the nation from statehouse Mombasa, he will focus on the killing of KDF soldiers in Somali, the rescue and recovery process and will most likely give numbers of death and injured. CORD leader Raila Odinga called on Uhuru to declare a day for national mourning and also provide much needed information to avoid danger of Kenyans consuming Alshabaab propaganda being peddled via social media. The president has been under pressure from Kenyans to show leadership in the crisis, in major disaster such terrorism in Somalia, in leading civilization, after what happened in Somalia to our gallant sons, Kenyans expected the COMMANDER-IN-CHIEF to fly to that military camp in person to see for himself and inspire the remaining personnel to soldier on, president Museveni when his soldiers were killed in South Sudan, he flew into the country to reassure them. Uhuru should do the same thing instead of sleeping on the job. Sonko And Joho Almost Come To Blows Yet Again -Illicit drugs turf wars in the mix! Nairobi Senator Mike Sonko and Mombasa Governor Ali Hassan Joho yet again let their differences play out in public on Friday, January 15, when the two met in a street lighting function presided over by President Uhuru Kenyatta. Tempers flared up when the two met for the first time since they clashed in the presence of President Uhuru and his deputy William Ruto, when Sonko told off Joho for complaining to Uhuru over a snub. Then they traded words but this time round, they went physical when Joho refused to shake Sonko’s hand. Sonko must have muttered something that triggered Joho’s emotions. The governor held the senator’s arm and shook him angrily, with Sonko pushing it away in retaliation before the two were separated by Mvita MP Abdul Swamad Nasir. All this happened as other leaders who were at the function watched with much amusement. Early on, Sonko and Joho clashed over politics when Joho told off president Uhuru for ignoring him after he stayed in Mombasa county for close to three weeks. “Mheshimiwa Rais you come to this great county, unakaa 16 days, the governor has not spoken to you, it is not right Mheshimiwa Rais. That is not fair. Hiyo kitu unafanya county zingine unaonana na magavana. Hata hapa, I represent the people of Mombasa. 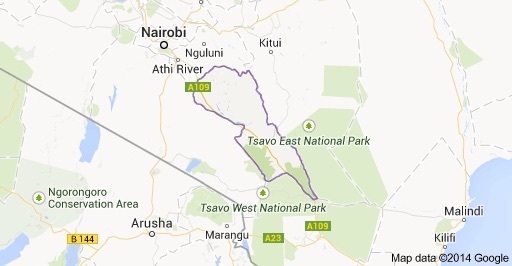 So ntakueleza, ukiyapenda, ukiyakataa, baadaye (Your Excellency Mr. President, how do you come to this great county, stay for 16 days, the governor has not spoken to you, it is not right your Excellency. That is not fair. When you visit other counties you meet governors. Here, I represent the people of Mombasa. So I will tell you, whether you like it or not),” Joho complained as he pointed at Uhuru who was seated on the podium with him. This prompted an angry reaction from Sonko who when he stood to speak, called Joho and the opposition punda milia (zebras) and Mburukenge (monitor lizards). “Nyinyi mko na tabia mbaya ya kublackmail president na serikali. Na Pundamilia yeyote yule atatusi rais niko na yeye. Utatusi na mimi nakutusi hapo kwa hapo. Mimi sijali hata nisiposimama Nairobi. Uchungu wangu serikali iheshimiwe, Rais aheshimiwe, deputy president aheshimiwe, Kenya iende mbele (you have a bad habit of blackmailing the president and the government. And I am with any Zebra (sic) who abuses the president. You abuse and I retaliate. I don’t care even if I don’t vie in Nairobi again. My disappointment is that the government, the president, his deputy be respected so that Kenya can move forward),” an angry Sonko said. This seemed to annoy Joho who had ushered Sonko to the podium. The governor stood and walked towards Sonko to tell him his time was up but Sonko refused to leave the podium. But the drama continued as Sonko rushed to the podium again to scream into Joho’s ears as the governor responded to him telling him he would not pick a quarrel with him because he loves peace. President Uhuru made it clear- the Waitiki land squatters MUST PAY 182,000 for title deeds he issued otherwise it will revert to the Bank. The president told the squatters to their face that they were Odinga supporters and therefore should not expect any favours. Many political pundits were left wondering who advises the president, the open discrimination against coast squatters confirms that Uhuru has not risen above petty party politics and comes a cross as a bitter man who has no capacity to unite the country an opposition MP who works closely with Uhuru regime told this writer. When Mau forest and other IDPs were settled they were given title deeds without paying even a single cent . Some were built houses by the same government while others were given Money to go built on their own. Today when the president addressed Likoni residents specifically Waitiki land squatters he told them and I quote “Hamkutupigia kura , mlipigia wale wengine sasa hii 182,000/= lazima mtalipa hata kama ni kwa miaka kumi na mbili ” the question in every Kenyan’s mind is; why treat a part of Kenya as if they are more Kenyans than others? 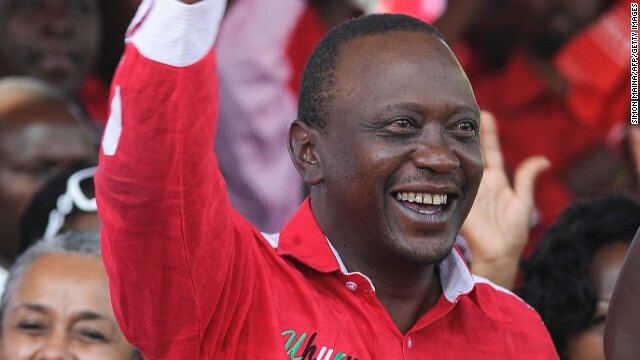 Why did UHURU sneak out of JKIA to South Africa using Kenya Airways on Sunday night? Wednesday September 23, 2015 – President Uhuru Kenyatta left his security handlers stranded at Jomo Kenyatta International Airport (JKIA) on Sunday night after he left the country to South Africa without his usual detail. According to a source in State House, Uhuru left the country in a hurry, in what many believe was a very confidential visit. “He left in a hurry and boarded a commercial flight. He did not even want security when he left,” a RECCE office who works at the PES said. Uhuru came back on Monday night on board a Kenya Airways flight and sneaked back to State House the same way he skulked out on Sunday night. Some Kenyans have complained about Uhuru’s trip to South Africa on Sunday saying that he ought to have informed them about it. They said that Uhuru is putting his life at risk by leaving without security especially to South Africa – a country that is known to be one of the most dangerous destinations to visit in Africa because of its high crime rate. “Uhuru must notify Kenyans whenever he goes out of the country. He should understand that he is a public figure and he should inform Kenyans about all his foreign trips,” a senior security expert told journalists on Tuesday. 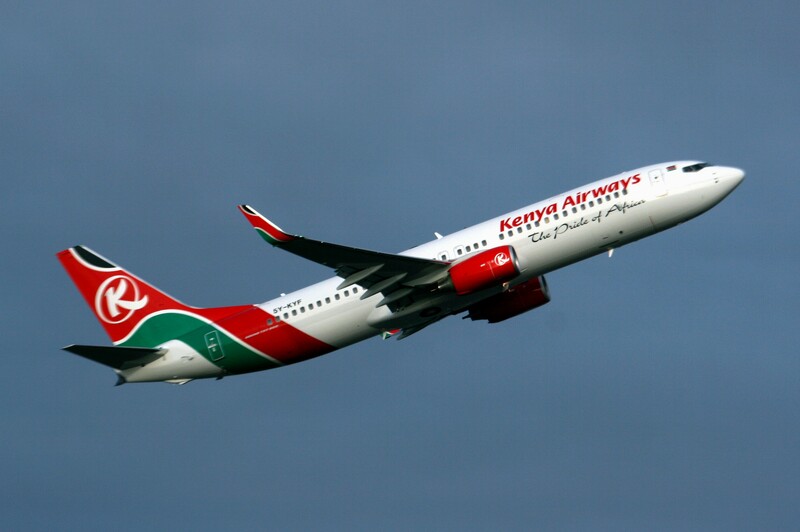 AfricaJomo Kenyatta International AirportKenya Airwayskenya-airways-partnershipSouth AfricaState HouseUhuru KenyattaWhy did UHURU sneak out of JKIA to South Africa using Kenya Airways on Sunday night? 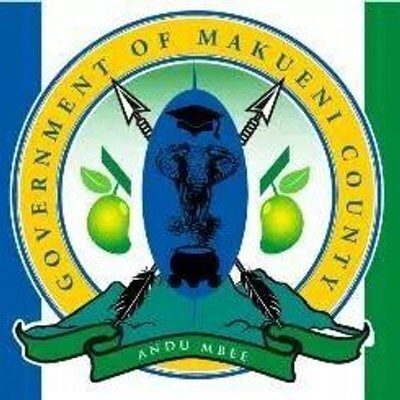 President Uhuru Kenyatta has rejected recommendations by a commission to suspend the Makueni County government. President Kenyatta said there are no justifiable grounds to disband the troubled devolved unit. The recommendations to suspend the regional government were made by a commission the President had appointed early this year following complaints of incompetence and corruption in the leadership of the county. The commission, which was chaired by Mr Mohamed Nyaoga submitted its report to the President on Thursday last week. 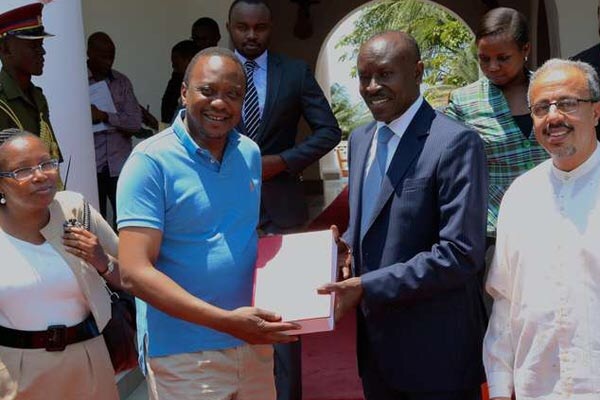 “The President reaffirms that our constitutional, legal and political architecture provide sufficient alternative mechanisms to deal with maladministration, corruption and ineptitude,” read a statement from President Kenyatta, which was signed by the State House spokesperson Manoah Esipisu.